A new name. The department was renamed The Tommy and Victoria Baker School of Business last year after a major donation from Baker, a 1972 business school graduate who founded the Baker Motor Co., automotive empire. A new home. The department is preparing to move from Bond Hall, where it shares space with administration and biology classes, to a new building called Bastin Hall, in the fall of 2019. A new dean. Michael Weeks, dean of the Dunham School of Business at Houston Baptist University, a former Air Force pilot and an accomplished violinist whose specialty is strategic innovation, will take over the helm at The Citadel on July 1. New specialties. 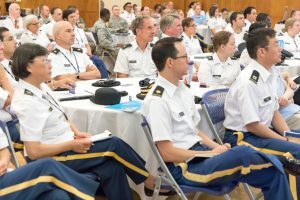 This year, the Citadel began offering new programs focusing on finance, entrepreneurship and the supply chain. 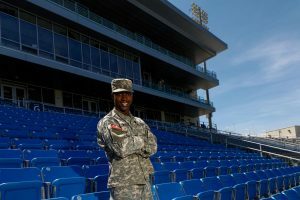 About one-third of the graduates from the Charleston military college go into the military; the rest pursue civilian careers. 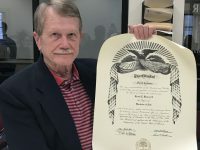 The school has produced a long list of outstanding business leaders in its 175-year history, going back to James Coker, an 1856 graduate who founded Carolina Fiber Co., Sonoco Products and Coker College in Hartsville. Baker is one of the more visible contemporary graduates in the Charleston area. He declined to reveal the amount of his donation last year, but it’s been called the largest in the history of the business school. Bastin Hall is named after Rick Bastin, a 1965 business school graduate whose Florida car dealerships included the largest Mercedes-Benz dealership on the East Coast. He donated $6 million to get the building started in September 2016. Work is expected to start this summer, near the Holliday Alumni Center across from Johnson Hagood Stadium. 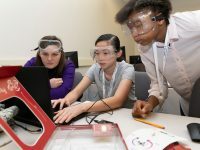 All cadets — whether heading for military or business careers — are drilled in the school’s core values of honor, duty and respect. That’s a selling point in today business world, according to Iordanis Karagiannidis — often called “Dr. K” around campus — the business school’s associate dean. “I think that is a strong selling point, when you look at the news, the lack of ethics in different businesses,” Karagiannidis said. 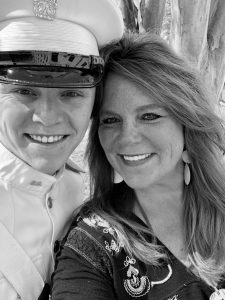 Out of 551 cadets who graduated in 2017, 191 — or 34 percent — were business majors, according to a report from the school. 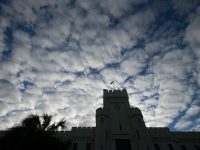 A number of prominent business leaders also have earned their master’s degrees at The Citadel, which allowed MBA candidates to complete the program entirely online two years ago. The list of Citadel business school graduates who left their mark in the world stretches back before the Civil War. Here are a few of the more notable alumni, starting with some who have buildings and programs named after them. Tommy Baker, 1972, honorary doctorate of commerce in 2015, founder of Baker Motor Co. and namesake for The Citadel’s Tommy and Victoria Baker School of Business. Rick Bastin, 1965, family car business in Florida included one of the largest Mercedes-Benz dealerships on the East Coast. The new home for the Baker School of Business will be named Bastin Hall, and his contributions also made possible the Rick and Mary Lee Bastin Financial Leadership Lab. Bill Krause, 1963, president of LWK Ventures, a private advisory and investment firm; board partner at Andreessen Horowitz; operating executive and senior advisor at The Carlyle Group; operating executive at Carlyle Investment Management. 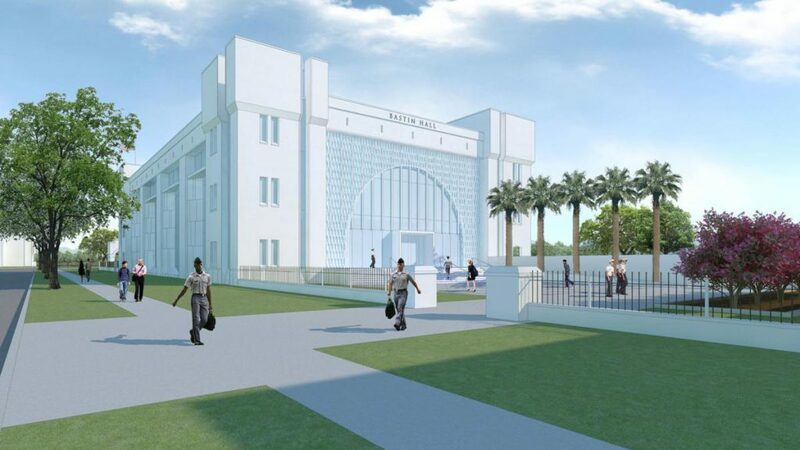 Major benefactor for The Citadel’s Krause Center for Leadership and Ethics. Alvah H. Chapman Jr., 1942, retired as chairman and CEO of Knight-Ridder, the international newspaper chain, then a major philanthropist in Florida. An annual business leadership award at The Citadel is named after him. R. Hugh Daniel, 1921, chairman and CEO of Daniel Construction Co., at the time the largest construction company in the world. The Citadel library is named after him and brother Charles. 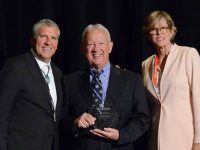 Andy Warlick, 1979, president and CEO of Parkdale Mills, the world’s leading manufacturer of cotton and cotton-blend yarns, donated $1 million to The Citadel Foundation for scholarships. Jonathan Zucker, 2006 master’s degree in business administration, 2012 honorary doctorate of commerce, president of The Intertech Group, whose portfolio includes aerospace, real estate, manufacturing, financial services and entertainment; also president of Z-Man Fishing products; major supporter of community causes. Niall Gannon, 1990, executive director of Wealth Management at The Gannon Group in Clayton, Mo. His research on “after-tax investing” has received national recognition from academia and the financial media. Jack Krapf, 1982, The Krapf Group of Merrill Lynch consults and advises corporations, foundations, athletes, and high net-worth families. Tandy C. Rice Jr., 1961, president and CEO of Top Billing International of Nashville, specializing in the worldwide booking and management of some of the most notable names in country music, died at age 76 in 2015. Harvey Schiller, 1960, chairman of the board and CEO of Global Options Group, an international risk management and business solutions company. He was chairman and CEO of Yankee/Nets, president of Turner Sports, executive director and secretary general of the U.S. Olympic Committee, president of the International Baseball Federation, and has been president of USA Team Handball since 2014. Raymond G. Johnson Jr., 1955, retired from the DuPont Co. as vice president of manufacturing for the fibers business, instrumental in the commercialization of KEVLAR, used in bullet-resistant vests. Henry Dale Smith, 1947, chairman emeritus of H.D. Smith of Springfield, Ill., a major pharmaceutical wholesaler. His donation helped open the school’s public speaking lab in 1999. Fritz Hollings, 1942, the youngest person to be elected South Carolina’s governor when he took office in 1958 at age 36, then served in the U.S. Senate for 38 years before retiring in 2004.